The head of the new Australian Financial Complaints Authority (AFCA), which starts business on November 1, has promised easier access for those needing help with finance disputes. As well as tackling complaints from disgruntled individuals, the free and independent service will be accessible to charities and small not-for-profits (those with fewer than 100 staff). The new super-authority will tackle complaints across the finance sector, covering banks, credit, superannuation, advice and insurance. AFCA takes over the work of three bodies: the Credit and Investments Ombudsman, the Financial Ombudsman Service Australia, and the Superannuation Complaints Tribunal. AFCA head David Locke – a former assistant commissioner with the Australian Charities and Not-for-profits Commission (ACNC) – said AFCA would have a greater focus on helping people most in need. 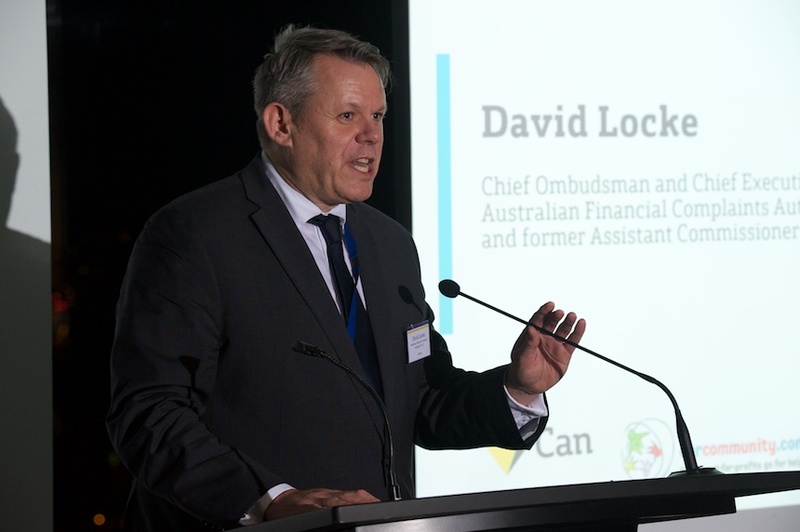 The Australian Financial Complaints Authority chief David Locke has a long history of involvement with charities and not-for-profits. He said many of the 55,000 cases AFCA is expected to tackle each year would arise from “people in hardship and people in difficulties”. And he said the not-for-profit and charity sector played an important advocacy role for vulnerable members of the community, who were often targets of unscrupulous operators. Mr Locke said one of the top priorities of the organisation would be to improve access to vulnerable consumers. “We're going to be taking significant measures to make the service much more accessible for people right across communities,” Mr Locke said. Those in financial hardship will also be protected by powers that enable AFCA to freeze any other enforcement action while it negotiates a settlement. Beefed-up powers give AFCA the ability to rule on losses of as much as $1 million, and award up to $500,000 in compensation. There’s no limit on awards for superannuation cases where people’s homes are used as security. The new body’s increased accessibility extends to its name, which no longer contains the term “ombudsman”. Mr Locke notes, “a lot of people don’t know what an ombudsman is”, whereas the new name “says on the tin what it deals with – which is complaints about financial firms”. He said the focus of AFCA would be to aim for negotiated solutions, using conciliation and mediation where possible, but with the power to make binding decisions. AFCA – a not-for-profit in its own right – will be funded by compulsory fees paid by Australia’s financial firms. More Our Community news: News you can use from the not-for-profit world.